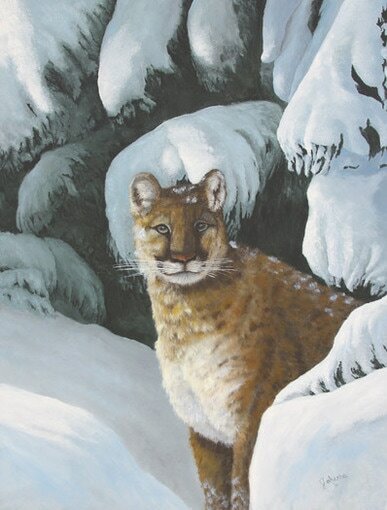 Giclee fine art paper and canvas prints from my original oil painting of a cougar coming out into the opening from underneath the pine trees. Only once have I ever seen a cougar in the wild, which was when I was travelling in Colorado and spotted one near the highway. I stopped to watch him for a few minutes before he took off on a dead run through the trees and rocks.